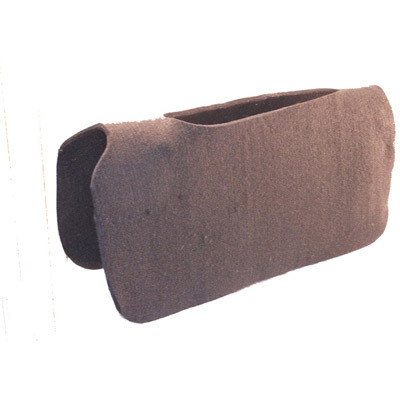 This 30" x 30" pad liner is is a thin breathable orthopedic felt pad designed to fit under another pad to offer a little extra cushion and comfort for your horse- or to work as a barrier between sweat, hair, and dirt and the underside of your expensive saddle pad. 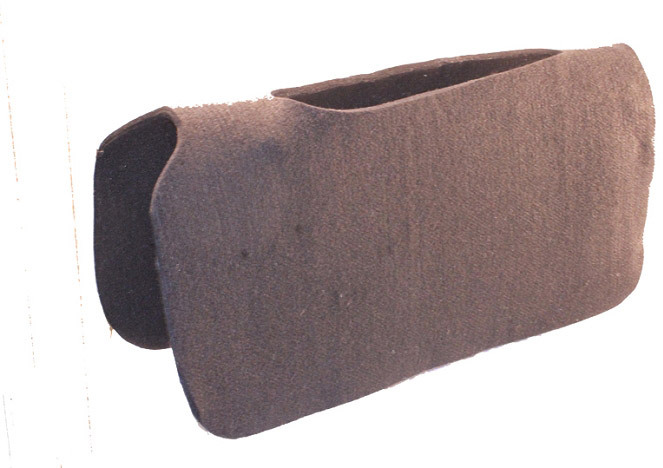 The 30 in by 30 in size fits neatly under standard size pads (typically, 30 inch square or 32 inch square) and is cut away in all the right places to prevent binding of the shoulders or pressure points at the spine. Choose 1/2 inch thick or 3/8 inch thick. The pad liner is easy to clean and machine washable. Made in the USA.